Adds a spaceport module: “Terraforming Station” (unlockable by Terrestrial Sculpting technology). Planet carrying this module grows in size at a mean rate of 2 tiles per year. Once the planet reaches maximum size (25 tiles) the Terraforming Station get disbanded automatically. The construction cost for the module is: 400 minerals, 50 influence, 360 days; the maintenance is 10 energy. When planet reaches the 25 tile size the module destroyed, but no resources returned. Constructing it again is possible, but senseless. 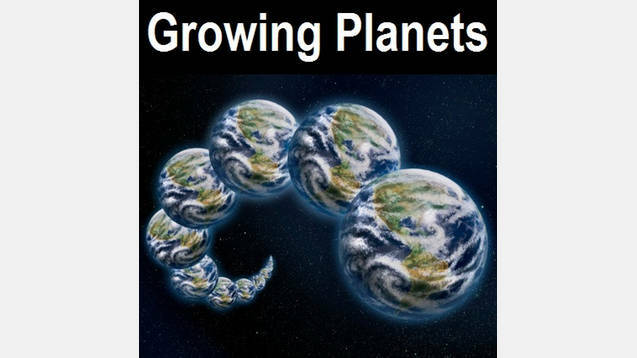 A picky player may mention that each time planet gets a new tile it’s model slightly grows in size like if the planet gained mass. Because of this effect I made it that along with planet growth some other uncolonizable celestial body shrinks in size. Those “donor” planets must belong to 1 of 4 types (barren, cold barren, icy or asteroids) and have mining station orbiting it. To ensure that there is at least one planet of donor type that may support a mining station, a random planet (inside the empire borders) which is of donor type and carries no any deposits get +1 to minerals granted so that a mining station can be built upon it. Each time “donor” planets shrink in size they have a chance to get +1 to mineral deposit. This mod should be compatible with everything since no vanilla files or technologies were overwritten. I just want to thank Risa and everyone else from Stellaris modding community for help and support I couldn’t do the scripting without.